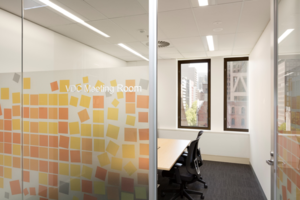 VDC’s Boardroom and meeting room is located on the cnr of Collins and Queen St Melbourne. 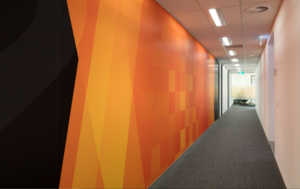 An ideal location for those important meetings. 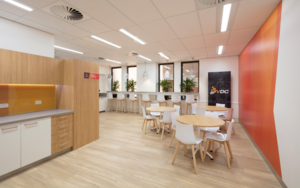 Boardroom Capacity - 18 Meeting Room Capacity - 6 VDC is conveniently located near public transport. Our closest tram stops are Collins St/Elizabeth St (Stop No. 5) and William St/Collins St (Stop No. 3). 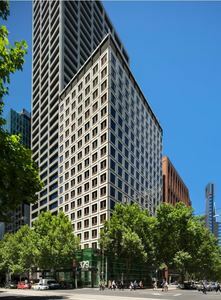 We are less than 8 minutes’ walk from Flinders Street and Southern Cross Stations. Audio visual technology is complimentary. 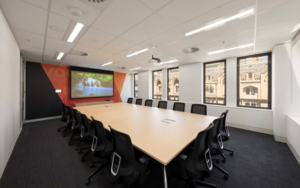 You will have access to data projectors, LED screens, hearing loops, flipcharts and electronic whiteboards to ensure your presentations are delivered at the highest quality. Free Wi-Fi is also available for your use. We offer complimentary tea and coffee to all guests. 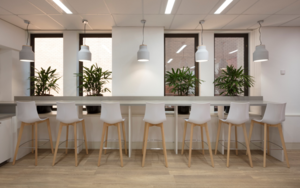 Our breakout room has fresh bean coffee, filtered fresh water, stools, café tables and chairs. Catering can be quoted on request. We offer a range of options for morning tea, lunch and afternoon tea. Dietary requirements can be accommodated. Onsite staff are available for support.